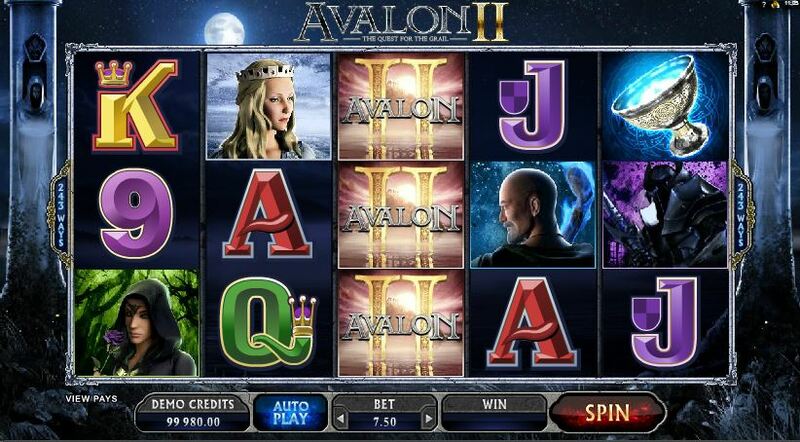 Here's a superb new online slots game one must not miss. An Australian company, Eyecon have been around since 1997 and provide a variety of games to the land-based and online gaming industry, more recently moving into the mobile market. They have a traditional approach, focusing on taking their games which contain all the usual features, too many playing platforms rather than being at the leading edge of the gaming industry. Quest for the Grail online slots has a 5 reel, 3 line, 25 payline format. You can play from anywhere between 30p to £7.50 a spin. 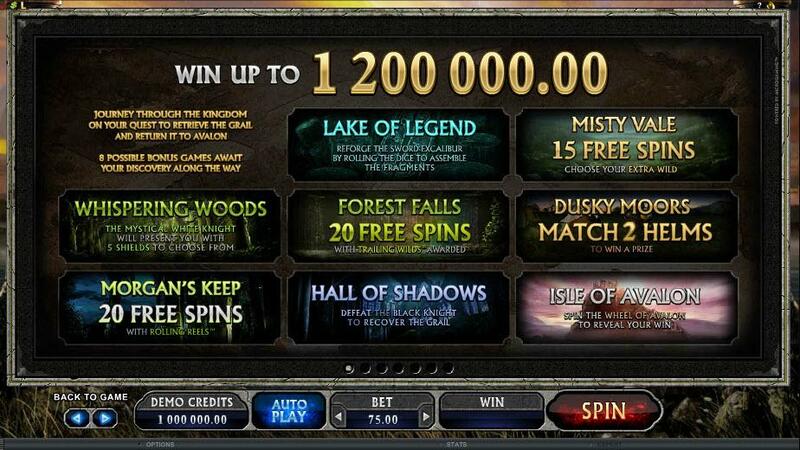 The aim is to spin the reels and produce winning combos, triggering bonus features as you go. Click Options > Paytables for information on these winning combos. Place your bet using the Change Bet button. Select your paylines, using the Change Lines button. You can autoplay by clicking Autoplay or play manually by clicking Spin. The symbols range in value from the King (highest) to the flag and shield (lowest). And there are also the wilds and scatters. Triggered by 3 scatters in spin can initiate up to 25 free spins or the chance to pick from the Grail of Choice. If you opt for that, you could earn a multiplier 100x. You can cop 25 free spins although spinning scatters on the free spins won’t win you any more free spins. During free spins, the wild Excalibur is replaced by 5 different grails – wooden, glass, bronze, silver and gold and these act as wilds in the freebies. Wins are multiplied by these grail multiplier amounts. Alternatively, pick the grail of your choice. The number of grails on the reels determines the number of picks you get in this bonus game and each pick could bring you 10 x your bet or the free spin bonus. If you like history or mystical mystery games you’ll enjoy the Quest for the Grail online slots. Even although the graphics are not the most up-to-date in resolution, this fits the overall ambience of the game. And the bonus rounds are something else again if you are lucky enough to trigger them.